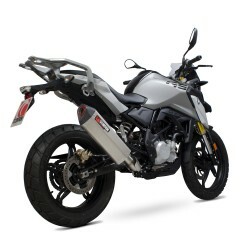 BMW's new G310GS has now felt the benefit of Scorpion's dedicated R&D team. 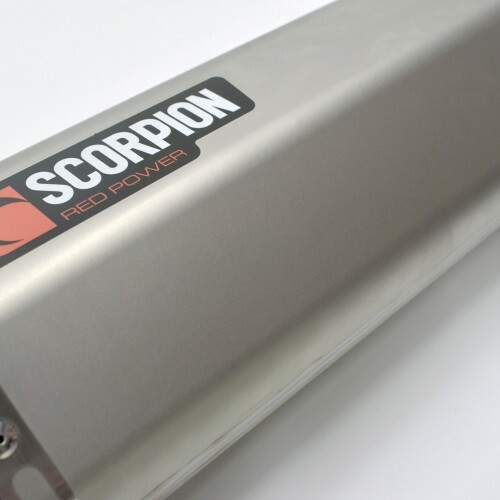 They have developed a Serket Parallel silencer and header to work with the bikes original fuelling, exclusively for Rally Raid Products, designed, developed and manufactured in the UK. Headline features include a unique precision formed 6 facet profile and an Aerospace derived multi composite ‘Claw Contoured’’ outlet. Additionally, Serket features a tempered / fused sleeve seam with compression coined ends and a GP Style double spring mount. This complete, 3-piece system also has the option to add an approved catalytic converter, developed to comply with all regulations. 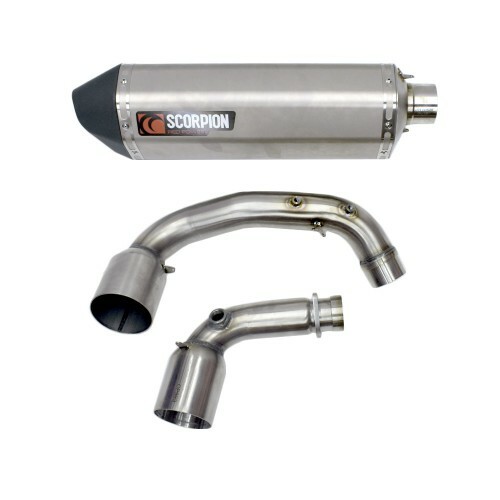 The silencer is satin titanium finish, has a removable baffle, and all tubing parts are high-quality stainless-steel. This silencer gives a 2,6kg (6lb) weight saving and an increase of 1,5 dB in noise, (with catalytic insert fitted). Dyno tests show a 0,5hp increase, (at rear wheel), with cat insert fitted, and 1,05hp increase without insert fitted. Due to the internal construction and high specification of the materials used these silencers never require re-packing and are covered under a life time guarantee. The OEM heel heat shield is re-used, with new M6 screws supplied, onto the Scorpion mid-section for added protection. This full system will work with both OEM Level 1 height suspension, lowered or extended Level 2 suspension. Included with the kit is a special 12-point 10mm comination spanner to remove the 2 exhaust header nuts from the cylinder head.